The StarCraft: The Dark Templar, Twilight by Christie Golden is now on sale at a bookstore near you and online. I read this book 3 weeks earlier. It is awesome. Jake knows he must survive long enough for Zamara to pass on her vital secret. But which faction—Valerian, zerg, or the recovered and increasingly powerful Ulrezaj—will find them first? His only hope rests with the powerful and legendary Zeratul, but as Jake is about to learn…even a dark templar can have a crisis of faith. 1. We learn the present Hierarchy structure of the Protoss in Shakuras which consists of six members representing each of the Khala and Dark Templar tribes. Their interaction and rivalries when taking decisions. 2. Zeratul, Hierarch Artanis and Executor Selendis take active roles in certain moments of the plot. 3. We learn what Zeratul has been doing all this time after he killed Matriarch Razsagal and where. 4. Zeratul tells what he saw in the uncharted world and what Duran did there. 5. Zamara finally reveals what dire secret she has sacrificed everything to deliver to the Protoss—the truth about the Protoss, Zerg and the Xel’Naga are finally revealed. As consequence we learn exactly what the hybrid are and are not. 6. The culmination of what happened with the Xel’Naga temples in the book StarCraft: Shadows of the Xel’Naga, and StarCraft: The Dark Templar, book one: First Born comes to a half-conclusion—leaving a cliffhanger of where Zeratul is headed to off-panel. Next time we see him will be in StarCraft II: Wings of Liberty with his Tidings of Doom and we will get the answer of what happened off-panel after the book. 7. Valerian Mengsk will do something we never saw coming at the end of the book, and rises many questions about his role in StarCraft II. 8. The origin and past of the once young dark templar Ulrezaj is revealed, and how he learned to become the most powerful Dark Archon in history. 9. The Khala protoss have preservers to conserve the memories of all the protoss that have ever lived. The Dark Templar cut off their appendages to become individual and rejected the Khala. So … how do they substitute the preservers? Find out in TWILIGHT. 10. Adun’s true history is revealed. The lies are shredded away. Did Adun really die? Did Tassadar? Where has Adun been all along if he didn’t die? Will he return in StarCraft II? Find out in TWILIGHT. 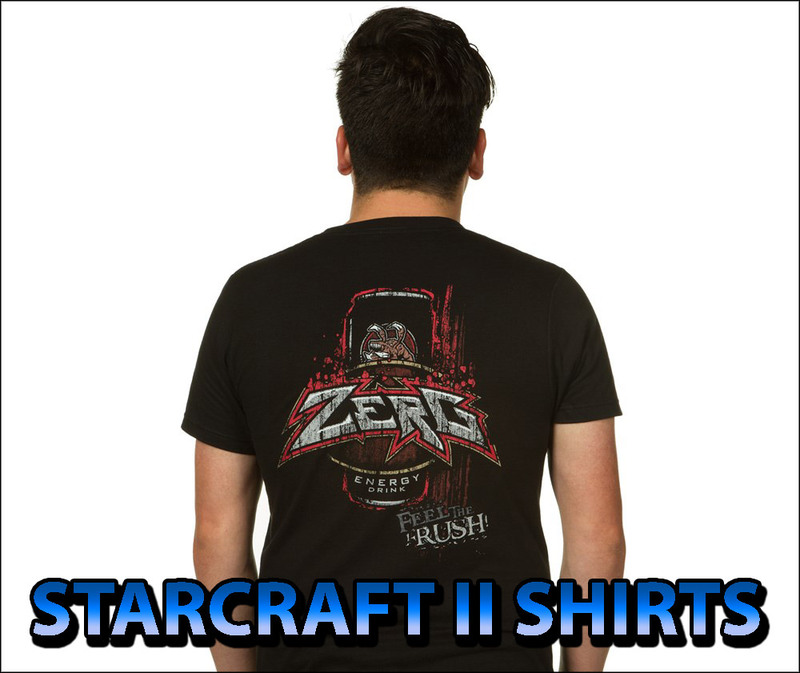 It is a shocking revelation that is going to thrill all true StarCraft lore fans. 11. The fate of Ulrezaj comes to a conclusion … or has it? You better get this book asap. It’s HOT. Consider it a StarCraft II single player prologue. Rosemary Dahl’s head whipped up at Zamara’s voice speaking in her brain. She didn’t think she’d ever get truly comfortable with such a method of communication, but after the last several minutes, when she and the protoss inside Jake’s mind had worked together to repair the damaged warp gate, she was getting used to it. She fired one last time at the zerg, swarming far too close for comfort, even though their target was elsewhere, and let her gaze linger for just a second on the glowing darkness that was lumbering toward them. They’d come here because of Zamara, the…spirit, Rosemary guessed was the best word, of a dead protoss preserver who housed every memory every protoss had ever had. And among those memories was something so important that Zamara had been determined to find a way to continue on after death—to share those memories with one Jacob Jefferson Ramsey, archaeologist, who was now possibly going to die because of those memories. Zamara had brought them here to locate a fragment of an extremely pure and powerful crystal, thinking to save Jake’s life with it. All well and good, but they hadn’t counted on a lot of things. They hadn’t counted on finding two separate and determined protoss factions practically at war with one another. They hadn’t counted on Valerian Mengsk, son of Emperor Arcturus Mengsk and Rosemary’s employer-turned-hunter, tracking them here. They hadn’t counted on confronting Rosemary’s former lover Ethan Stewart, seemingly raised from the dead and horrifically modified by someone he referred to as the “queen,” leading a pack of zerg. And for sure they hadn’t counted on discovering that one of the protoss factions—the Forged—was being controlled by a monstrosity called a dark archon. An entity comprised of seven of the deadliest assassins in the history of the dark templar, his name was Ulrezaj. Dark archons were an abomination to the Aiur protoss, and Rosemary had her own deeply personal grudge against the thing out there. The misguided followers of the monstrous being had dredged up the very worst parts of her, the parts she had thought she’d shed long ago. They had captured her and smeared some kind of drug they called “Sundrop” on her skin, and she’d toppled immediately back into the dark pit of addiction. Her eyes narrowed even now as she recalled what the drug had done to her. She tore her mind from the memory and focused on the pleasant image in front of her. Attacked on three sides, he was stumbling now, the oh-so-mighty Ulrezaj, and her heart leaped to see it. More than anything she could recall wanting—well, wanting with a clear head at any rate—she wanted to see Ulrezaj die, fall beneath the chittering living carpet of zerg, the powerful onslaught of Valerian Mengsk’s Dominion vessels, and the stubborn attack of what few protoss remained on Aiur. I sympathize with your desire, but the gate will soon close. The order that slammed into her brain was so intense that Rosemary gasped and stumbled, falling into one of the protoss who had also come to a stopbeside her. He caught her quickly and steadied her. Rosemary winced at the horror emanating from the protoss who surrounded the little band of refugees; she knew now that they were surrounded here, wherever “here” on Shakuras was. Clarity struck her like an armored fist as she suddenly made sense of the jumble of words and images with which her poor human, non-psionic brain was being bombarded. They were going to close the gate. Which would leave Jake stranded on Aiur. “No!” she shrieked. Rosemary lunged for the nearest protoss, seizing his arm. His head whipped around and he stared at her, and she got a hint of just how alien she must appear to these beings. Unlike the refugees who had just raced through the warp gate, these protoss were fit, healthy, and armed to the teeth—well, they would have been if they’d had any teeth. The templar she’d dared lay hands on freed himself easily and backhanded her, training his weapon on her as she fell hard on soft sand. The wind knocked out of her, she gasped inelegantly like a fish, staring up at a purple sky that was not quite day and not quite night, still instinctively and foolishly trying to form words when intellectually she knew that thoughts would do as well or better. Bless them, the other protoss rallied. The one who’d caught her before—Vartanil, she thought his name was—now gently helped her to her feet, while the others shot streams of information to the guards of the warp gate. Rosemary wondered as breath finally came back to her how the guard had known Vartanil’s name. Oh yeah—that instant thought stuff. And even as that realization hit, she found that she knew the guards’ names as well. This bully, his skin dark gray and his face angular and dotted here and there with sharp, small hornlike protrusions, was Razturul. The other was Turavis. She was astonished at how upset she was at the thought of Jake being stranded in Aiur. Or being taken by Valerian or Ethan or reduced to a little cloud of atoms by Ulrezaj. He didn’t deserve to wind up that way, not after all he’d been through. And whatever little mysteries Zamara had locked in her dead-butyet-still-living consciousness were obviously very important to the protoss. Razturul’s eyes, glowing in the dim light of a twilight evening, narrowed as he regarded her. “It is true that you all tell the same story,” he acknowledged, obviously reluctantly. “Yes, Razturul, but none of them can enter the Khala, so we cannot verify their claims in a place where there can be no deception,” said Turavis. His face was smoother than the bully’s, and his nerve cords, neatly pulled back and tied, hung down to his waist. Rosemary looked at him, uncomprehending. Rosemary found herself surrounded by templar, both kinds, all with those weird energy blades pointed at her. —images of a room, spartan but not devoid of comforts, and answering questions filled her mind. She couldn’t help it. The thought, and what’s going to happen to me? was formed and was read. As Rosemary and the little group of refugees trudged through soft blue sand to a gleaming vessel that awaited them, Rosemary thought darkly that “executor” sounded a bit too much like “executioner” for her liking.